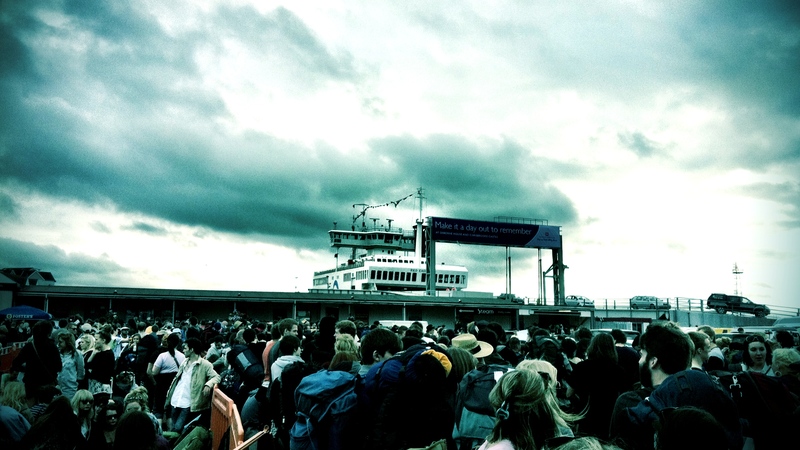 Bestival 2011: The Good, The Bad and The Ferry. This year’s Bestival, Rob Da Bank’s festival on the Isle of Wight, narrowly avoided being hit by the tail end of hurricane Katia. Instead festival-goers were treated to a mostly dry weekend of sporadic sunshine and showers, once they got there of course. In the interests of getting the negatives out of the way first, it must be reiterated that getting to Bestival is probably the worst thing about the festival. Ferry services from Southampton and Portsmouth are seriously over-stretched leaving thousands of revellers subject to several hours of seemingly endless queuing. Our wait was over four hours, with our booking for 4pm shifting slowly but surely towards gone 8pm. Once you’re off the ferry you find yourself in another queue for a shuttle bus or taxi to actually make the 6/7 mile trip to the festival site. We knew this to be the case and hitched a lift off the ferry with Paul, a security guard from ProTouch Security, working the festival. (He had waited three times as long as we had to catch the ferry!) Huge thanks to him! Two of my highlights of the weekend were SBTRKT who pulled in a huge Big Top crowd to play a blinding set of his ambient, dubstep material. Whilst Sampha’s husky vocals struggled to transmit across the entire crowd it was still a treat to see SBTRKT drum live to recreate his unmistakable sound for the Bestival crowd. The second highlight started immediately after SBTRKT finished. Approaching the stage to the distinctive sound of sirens were Chuck D, Flavor Flav and DJ Lord, better known as Public Enemy. They played to a huge crowd on the main stage and whilst their age is admittedly starting to show classics like Don’t Believe the Hype, Night of the Living Baseheads and Bring The Noise still sounded fantastic and their stage presence was as entertaining as ever. After a break to enjoy some of the other Bestival sights and indulge in some fantastic festival food it was time for Magnetic Man to show exactly what a main stage Magnetic Man set should consist of; dazzling visuals (from their uber-expensive lighting rig) and flawless sounds. It proved to be the best set of the night on the main stage as Pendulum (Friday’s ill-chosen headliners) bypassed a lot of their superior Hold Your Colour tracks, instead opting for their over-played, over-hyped modern material. Some more surreal moments led us into the evening with The Village People performing on the main stage before Jaguar Skills, Paloma Faith and Grandmaster Flash followed to restore Bestival back to some sort of normality. 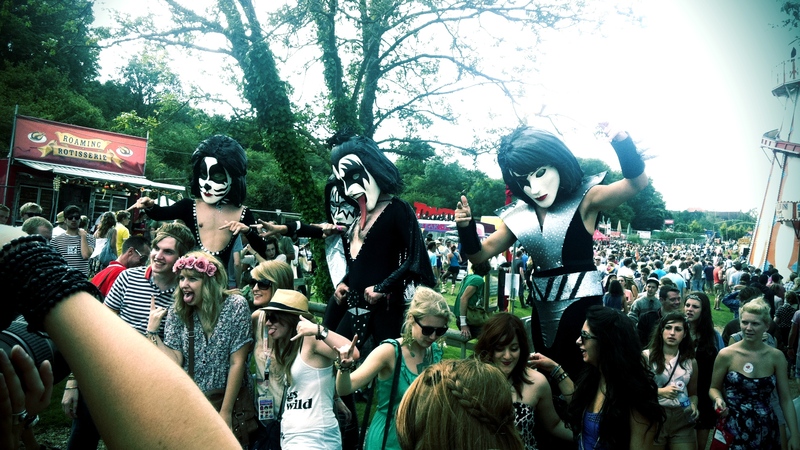 Of course, this was the rockstars, popstars and divas fancy dress day of the festival, so everywhere you looked was like seeing The Village People. The Saturday night was the strongest lineup of acts of the weekend and the treat of a main stage medley of PJ Harvey followed The Cure was wonderful. PJ Harvey, still on a high from her Mercury Prize win just a few nights before, had a relatively short but stunning set with tracks from all her albums stunning the audience. In between PJ Harvey and The Cure we headed across the arena to try and catch some of Ed Sheeran’s set in the tiny Psychadelic Worm tent. However, after squeezing in, literally under the sides of the tent (to the dismay of Bestival security) we cut our losses (along with frustrated parents with children and hundreds of other fans) and headed back for The Cure. That was perhaps the biggest disappointment of the weekend, that the festival organisers had somehow not recognised the huge popularity of Suffolk-born singer-songwriter. It also could have ended horribly as the tent became crammed well over capacity. Nevertheless, all was quickly forgotten as Robert Smith and co. took to the main stage to belt out a phenomenal main stage performance that lasted a staggering two and a half hours. Personal highlights included Lullaby, Just Like Heaven and A Forest but the whole set was mesmerising and proved they really were the main attraction at this years Bestival. Saturday felt like an all-nighter as Primal Scream took to the Big Top straight after The Cure before a brilliant Metronomy performance at 2.15am rounded off a stunning and unrelenting 6 hours of music. Their excellent The English Riviera proving as popular and poignant as debut Nights Out. 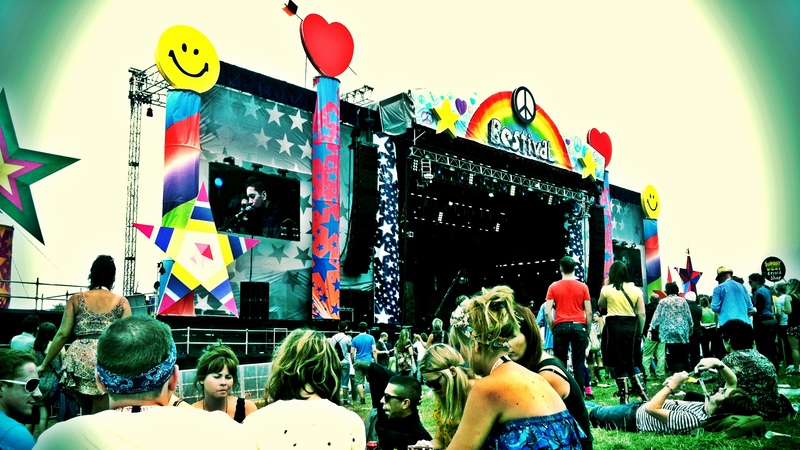 So, Bestival suffered from the year-on-year problems of it’s location (please just move it to somewhere in the south!) but proved once again that once you’re there it’s a fantastic festival that really does cater for everything. There’s certainly never a lack of things to do and pulling in acts like The Cure is sure to cement as one of the big-hitters of the festival circuit.